Founded in 1989, Beijing Peace Aluminum Co., Ltd started with selling aluminum sections. It has become an enterprise that develops comprehensively, distributes the business professionally and manages the group as a whole. 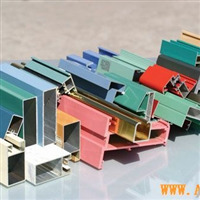 It deals in producing and processing aluminum sections, hardware accessories, stainless steel, architectural curtain wall design and constructions. There are six subsidiary companies owned by Peace Aluminum Group: Beijing Peace Aluminum Section Co., Ltd., Beijing Peace Guanzhuang Aluminum Section Co., Ltd., Beijing ZhengHeping Trade Co., Ltd., Beijing Peace Curtain Wall Engineering Co., Ltd., Sanhe Peace Aluminum Material Co., Ltd. and Beijing Hongshen Body-building and Entertainment Co., Ltd. In 1989, Beijing Peace Aluminum Section Co., Ltd. was established, which mainly deals in Peace Aluminum Material, architectural and industrial aluminum sections made by other well-known brands, hardware accessories and stainless steel decorative materials. At present, it owns eight sales branches, with sales outlets all over Beijing. and has become the most influential enterprise in aluminum industry sale in North China, even in the while country. 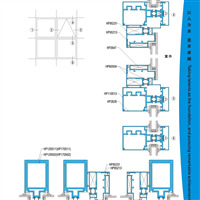 In 1995, Beijing Peace Curtain Wall Engineering Co., Ltd. was established. 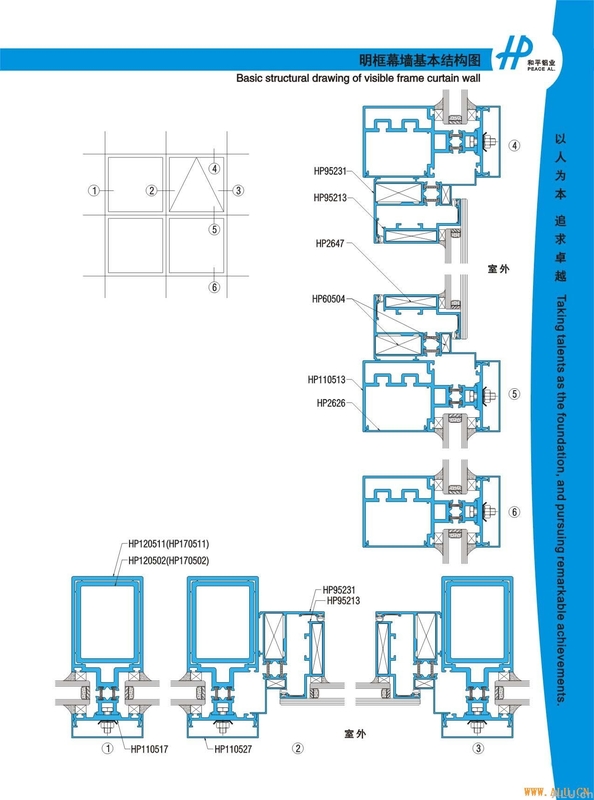 Now it is”Dual First Class” engineering company that is a first class specialized contracting architectural curtain wall project and first class architectural curtain wall project design. In the past over ten years, it has taken on many famous projects, such as Capital Library, Minsheng Bank, Science and Technology Exhibition Center, Golden Island Garden, etc. It has built up “Peace curtain wall” as a brand with high quality projects and highly efficient construction management. In 2004, Sanhe Peace Aluminum Material Factory went into production at JingDong Yanjiao Economic and Technical Development Zone. Covering 105 acres, with billions Yuan of investment, the factory owns eight rolling production lines, one oxidize tinting and one electrophoretic finishing production lines respectively, two spraying production lines and dominantly produces anodization staining, electrophoretic coating, fluorin carbon and powder spraying in several categories, which can meet the demand of construction and industrial aluminum materials. Peace Aluminum Section has won customer’s trust and support by its pursuit of high objective, strict and delicate management, fine equipments, stable product quality and complete after-sale service.